25 minutes short hilarious comedy play script for children 6-8 years old. Will the Queen’s favourite corgi Butch be saved? Will Captain Thunderboots keep forgetting that they are in space? The space pirate robots have stolen Butch. Unfortunately, Bubbles, a highly trained chimpanzee, disappears and the accident-prone Captain Thunderboots can’t be left on his own for such a vital mission. So they recruit Jay and together with Genie (the space shuttle’s supercomputer) find and outwit the space pirates. Read more about the play script COSMIC PETS (includes script samples). Read more about the play script (includes script samples). Unique hilarious one-act comedy play with the cast of characters for 21-28 children 8-10 years old. Luckily, Snow White is more than a match for her jealous stepmother, the Wicked Queen. Includes Smuggle as a supportive role and special appearances of Jack's Mum (from Jack and the Beanstalk) and Daddy, Mummy and Baby Bears. 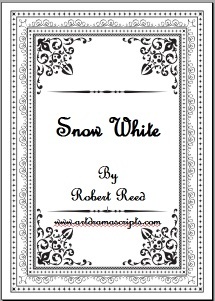 Read more about Snow White play script (includes script samples) . 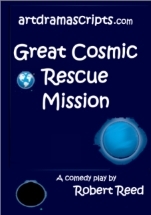 One-act 60 minutes comedy play for children 9-11 years old. "...Sharing half with Ali Baba. Never! I deserve it all because... Well, I can't think of a good reason, but who cares? I'm having the cash and the house and that's final." It was a terrific show, by the way! Kassim, Ali Baba's greedy wealthy brother, wants all the treasure. The bandits also don't believe in sharing and punish Kassim and vow revenge against Ali Baba. 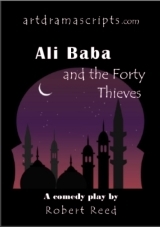 Read Ali Baba and the Forty Thieves script (includes script samples). 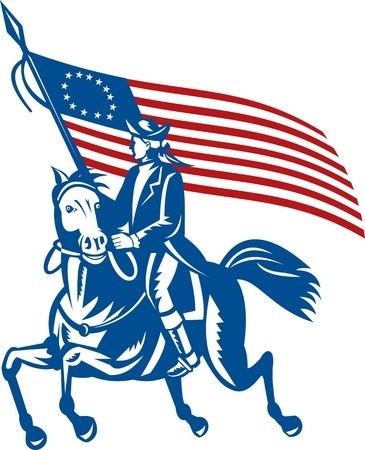 30 minutes patriotic educational fun play script with large cast for US Independence Day school shows and celebrations. Read more about 4th July: Independence Day script. 20 minutes short comedy play script for children 9-11 years old. Contemporaty comedy with some rap. Pierre Pan is a fashionista! features a high level of audience participation. Read The Real Pierre Pan script details. 20 minutes short romantic comedy play with the theme of new beginnings, first relationships and listening to the advice of the elderly. Amusing comedy play set in India. Spice up this show with suggested Indian music and Bollywood style dances. 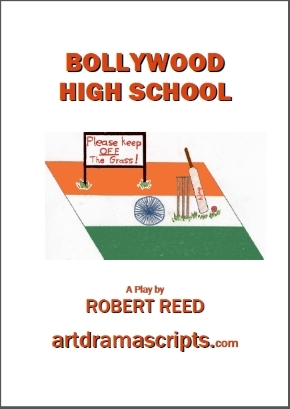 More about Bollywwod High School play script. LUCKY PANDA'S CHINESE NEW YEAR. This drama script presents a great way to celebrate and share Chinese culture with the school community at any time of the year. Full length 80 minutes comedy play for performance by middle school students (11-13 year olds). Magic rings, magic lamps, genies, evil sorcerers and a beautiful princess. There can only be one folk tale we're talking about, right? The evil sorcerer 'uncle' Asad tricks Aladdin but Aladdin ends up not only alive and well, but the owner of the lamp and marries Yasmeen and lives a life of luxury. What will the wicked sorcerer do when he discovers this? Spectacular show, this comedy school play is also exploring the theme of life choices. Read Aladdin play script samples. 25 minutes short comedy school play for children 11-13 years old. One act 50-60 minutes comedyplay for high school students (13-16 years old). 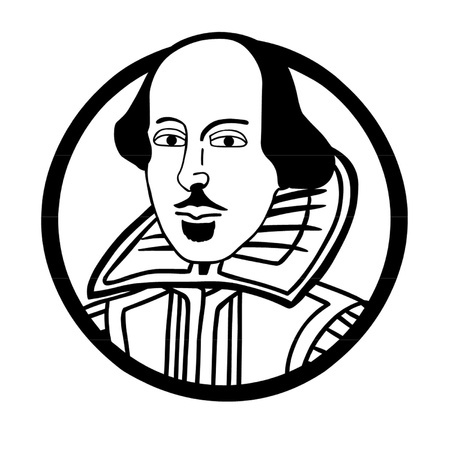 Romeo and Juliet combining modern English with Shakespearean language.